In recent years, bioenergy has drawn attention as a sustainable energy source that may cope up with rising energy prices, but also may provide income to poor farmers and rural communities around the globe. Rising fuel prices, growing energy demand, concerns over global warming and increased openness to renewable energy resources, domestic energy security and the push for expansion into new markets for crops in the face of world trade outlooks are all factors driving interest in expanding the use of bioenergy. Despite keen interest in this sector, there are currently few players in this field. Biofuels are fuels that are usually processed from organic matter obtained from living organisms or their products (Biomass). They can be used as an alternative to fossil fuels. Increasing fuel prices, rising energy demand and global warming issues are the major reasons that drive an enormous interest in exploring natural as well as renewable sources to meet the demand for fuels and energy. Over the past 5 years, Biofuels are considered as an alternative to oils on worldwide basis. Their reduced carbon emissions in comparison to conventional fuels and their positive impacts on rural development, together with the current high oil prices, are key elements behind their market development. Researchers are trying to explore a wide variety of feedstocks, mainly non-edible crops and wastes for generation of cost-effective, high yield and environmental friendly bioenergy that have minimum emissions. 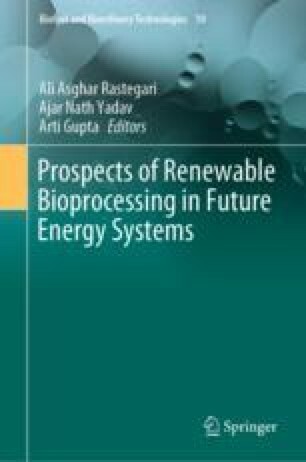 This book chapter is mainly focused on different advancements that took place in the process of biofuel generation as well as it status globally and in the country since last decade. The author would like to thank the publishers for providing them the platform for accepting this article and also for their valuable comments and suggestions for revision.